MOCA members at the Contributing level and higher are invited to MIX at MOCA, a special event offering exclusive after-hours access to the museum. Join us on June 6 for a cocktail reception followed by a private walkthrough of Real Worlds: Brassaï, Arbus, Goldin with Assistant Curator Lanka Tattersall. 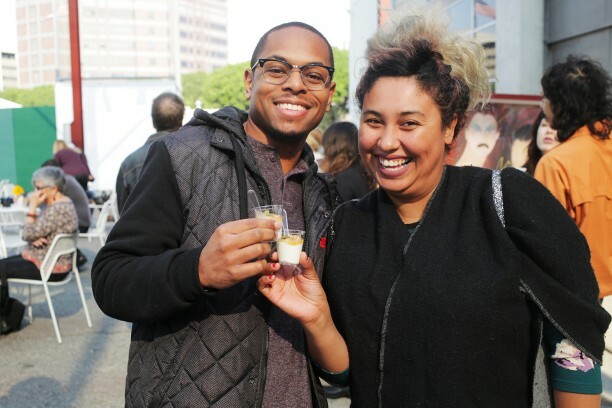 Meet and mingle with fellow members while enjoying drinks, small bites, and extraordinary art. To become a member or upgrade your existing membership, please contact the membership department at 213/621-1794 or membership@moca.org. MOCA members at the Contributing level and higher are invited to MIX at MOCA, a special event offering exclusive after-hours access to the museum.